The bestselling novel, "a brilliant, massive combination of history and supernatural horror" (Stephen King) is now a major TV series. 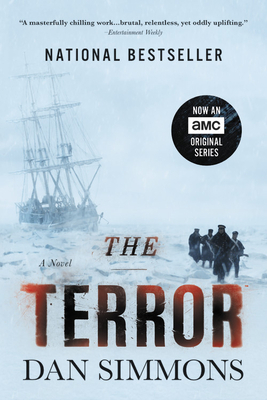 The men on board the HMS Terror have every expectation of finding the Northwest Passage. But what they don't expect is a monstrous predator lurking behind the Arctic ice. When the expedition's leader, Sir John Franklin, meets a horrifying end, Captain Francis Crozier takes command, leading his surviving crewmen on a last desperate attempt to flee south across the ice. Dan Simmons is the Hugo, World Fantasy, and Bram Stoker Award-winning author of several novels, including the New York Times bestsellers Olympos and The Terror. He lives in Colorado.